Going Green is a cross-media exhibition that aims to use the public and gallery space as a tool for creating positive disruption and change. In an age of misinformation and the now proverbial and continued unreality of “Fake News,” how do we continue to facilitate important intersectional discussions that can engage and expand our horizons of the world around us? Disruptions continue to confront us at every turn: climate change, government mismanagement and obstructionism, systematic disenfranchisement across the cultural spectrum—but for every negative, there is the opportunity to create a positive. By bringing public art, cannabis activism, alternative culinary education, fact-based climate policy, and social justice advocacy together under the banner of Going Green, we can create a conversation that peaks curiosity and extols the virtues of openness and sharing. The selected artists will also be exhibited on advertisement space starting April 9, in Manhattan and at Contra Galleries from April 20 to May 4, with an opening reception on April 20, 2018. Carlo is an American culture critic and curator living in New York City. He is the author of numerous books, monographs and catalogues on contemporary art and artists. He lectures and teaches extensively at universities and colleges around the United States on popular culture and art. His writing has appeared in Effects: Magazine for New Art Theory, Aperture, Art in America, Art News, Artforum, Camera Austria, High Times, Spin, Tokion, Vice and other magazines. Carlo McCormick is Senior Editor of Paper. Margeaux Walter creates constructed spaces for the camera that are centered around the fragility of identity in a consumer society. In her current series, “Believe Me,” (inspired by Trump’s most frequently used two-word phrase), she uses a drone to create surveillance images referencing the blurring of what is real and fabricated in our contemporary political and social environment. Mimicking distorted or augmented realities, her surreal scenes challenge our current post-fact world that is influenced by scripted and hyperbolic reality television, fake news, sensational journalism and virtual experiences. In much of her work she uses herself as a model to experience each of the scenarios she creates, as well as in some cases the claustrophobia of aligning perfectly within them. Margeaux received her MFA from Hunter College (2014) and BFA from NYU Tisch (2006). She has been awarded multiple honors from the Magenta Foundation, Photolucida, Px3 Paris, International Photography Awards, and other organizations. She has attended artist-in-residence programs at Red Gate Gallery, Montalvo Arts Center, Marble House Project, MacDowell Colony, and Yaddo. She is represented by Winston Wächter Fine Art, and has participated in exhibitions at institutions such as MOCA, Hunterdon Art Museum, The Center for Photography at Woodstock, Sonoma County Museum, Tacoma Art Museum, and the Griffin Museum of Photography. Her work has been featured in publications including The New York Times, New York Post, Seattle Times, Boston Globe, and Blouin Art Info. Jeanne Verdoux Will climate change affect rainfall? Jeanne Verdoux is a French visual artist living and working in New York. She has a BFA from Ecole Nationale des Arts Appliqués (Paris) and an MFA from The Royal College of Art (London). She has received several awards including: Villa Medicis “Hors-les-Murs”, Institut Français au Maroc Residency, The Bronx Museum AIM program, New York Foundation for the Arts Mentoring Program for Immigrant Artists. Venues that have exhibited her work include: IPCNY, The Lower Manhattan Cultural Council, The Bronx Museum, Sandra and David Bakalar Gallery (Boston), Lumen Festival (NY), Muriel Guepin Gallery (NY), Frederieke Taylor Gallery (NY), Galerie Magda Danysz (Paris), 18Gallery (Shanghai). Her work has been reviewed in The New York Times, Time-Out NY, The Huffington Post, The Boston Globe and The Village Voice. She is an Assistant Professor at Parsons The Newschool for Design. Jeanne Verdoux’s work is a visual expression of her observations. She observes and recreates people involve in every day life activities. During an artist residency on Governors Island, her medium evolved from drawing characters on paper to building them as small sculptures. 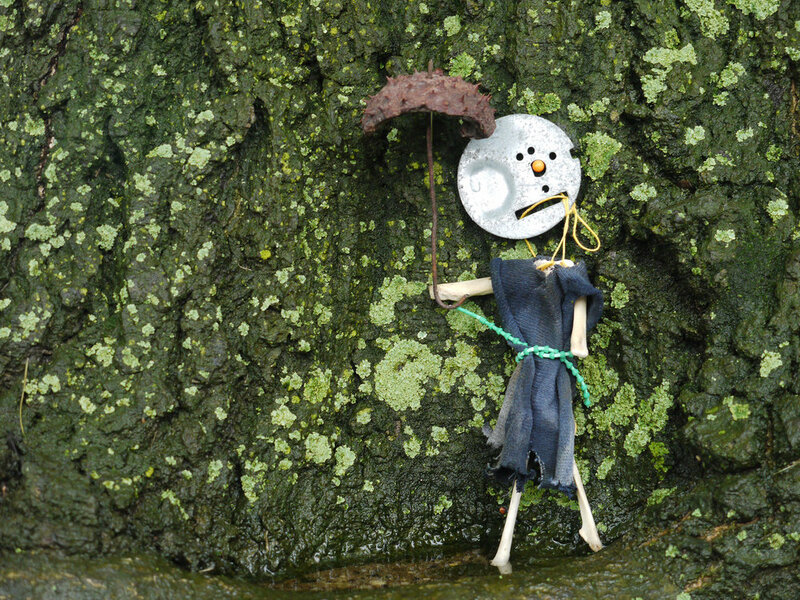 Jeanne Verdoux created a series of characters titled 'Mr. Bones and friends', made solely with found detritus. She staged and photographed them interacting in vignette like scenes using the island as a background. The final work is a series of color photographs. Imaginatively charting the psychological experience of space, Alexis Duque produces paintings and drawings of buildings and domestic interiors stacked and conglomerated into trippy, absurd mounds and towers. His compositions are detailed, highly organized, and meticulously architectural. With a psychedelic precision reminiscent of M.C. Escher’s, Duque uses perspectival tricks and surrealistic overlapping to render dozens of skyscrapers as a single red tower; or homes, living rooms, train tracks, and alleys as a mass on the verge of collapsing into itself like a black hole. The wheeling bird’s-eye view that he often employs recalls the Italian Futurists’ soaring imagery of cities as seen from airplanes. Through his playful stacking and piling, he reorders cities to examine the formal properties of their architecture. Alexis Duque holds a Bachelor of Fine Arts from The University of Antioquia, Colombia. His work has been exhibited in numerous venues including: at El Museo del Barrio, The Drawing Center and Praxis International Gallery in New York; The Museum of Latin American Art (MOLAA), Long Beach, CA; Champion Contemporary, Austin, TX; The Alden B. Dow Museum of Science and Art, Midland, MI; RudolfV Gallery, Amsterdam, Netherlands and Galleri Oxholm in Copenhagen, Denmark. Duque’s work has been featured in several publications, including: "Imagine Architecture: Artistic Visions Of The Urban Realm”, “Caribbean: Together Apart Contemporary Artists from (part of) the Caribbean" Imago Mundi - Luciano Benetton, Blue Canvas Magazine, LandEscape Art review, Beautiful Decay, Artistaday, New American Paintings, Studio Visit Magazine, The East Hampton Star, The East Hampton Press and El Diario of New York. Duque currently lives and works in NYC. Ms. Martin (@bleuseven) uses photography and art to creatively emphasize her philosophy that food is medicine, in particular boasting the benefits of a plant-based diet. Inspired by other artists and her professional experience in the beauty industry, she has the innate ability to create organic yet highly stylized scenes that underscore her life values. Her art and plant based DIY tips have been featured in Lucky, LA Fashion, Everyday Health, Collective 310, Latino Dr and Beauty High magazines. Jolie resides and works in New York City. Now that the Pandora’s Box of what McLuhan coined “The Global Village” hasbeen opened, the landscape of our collective political, social, creative, and personal identities ebb seamlessly back and forth, with the world as our spectator. Our analog presence has been expediently replaced by a virtual definition. This vast network of information and disinformation has redefined our conscious function in the real world. We are positioned in a sedentary platform of discourse, interpretation, and voyeurism. Through these systems we are policed, cataloged and displaced by unseen methods, techniques, and operative means rendering the physical obsolete. As Baudrillard exclaimed, “The Real – now unexchangeable because it has been spirited away by its double, but not ideologically degradable – becomes subject to endless demand, becomes an ideological concession granted in perpetuity”. As an artist working in the analogue and virtual, my concern is to remain grounded in the real and to observe, record, and construct a physical visual record of the future events that are unfolding. Kevin Bourgeois’ work stands within the traditions of the second half of the 20th century and yet puts them at the service of 21st century themes and aesthetics. His work recalls the fascination with logos, brands and every-day objects in so-called Pop Art, Photorealism, and the flowering of collage art post-World War II. He also brings to bear upon his work an impressive craftsmanship and care for his materials. This is no more apparent than in his drawing, and drawing, its line and clarity of image, is at the core of his work, featured in the DRAW touring exhibition along side such art world personages as Richard Serra and HR Giger, at Collector& Contemporary in Singapore, Exit Art, and most recently at SELF Identities – Faces. Places. Spaces at Palazzo Ca Zanardi, a collateral event to the 2015 La Biennale di Venezia and Volta 12 in Basel Switzerland. I am an illustrator based out of New York City. I have been fascinated by animals ever since I can remember. My fascination with animals lead me to creating “The Animal Series” an ongoing project that started 7 years ago. My most recent work is inspired by a 5 month trip to east Africa. This leopard was created while on a one week stay in Rwanda. The Primate The Primate says "EAT MORE PLANTS"
The Primate has been leaving a breadcrumb trail of stickers and wheat-pasted posters across the planet since 2012, greeting the passersby and interjecting a friendly touch of the bizarre and mysterious into the urban landscape. You might find him on the tip jar at your local pizzeria, stuck to the bathroom mirror in a bar somewhere, or perhaps subtly interjected into a subway advertisement, lurking where you least expected to see him, or where you most expected to see him. Sometimes people see him even when he isn't actually there, which is weird and interesting. Like Kilroy before him, The Primate Was Here. Follow his adventures on Instagram at @theprimatenyc. Artist Statement: Inviting a critique of capitalism, materialism, and apathy, my work promotes the contemporary post-studio tendency to produce politically and socially engaged work. Much of my practice, however, is still that of craftwork: processing immensely tactile materials with techniques that are at once experimental and methodical. Mining and regurgitating trash, the work interrogates the meaning of value in landscape and art - responding to land art and reinstating handwork into the political. 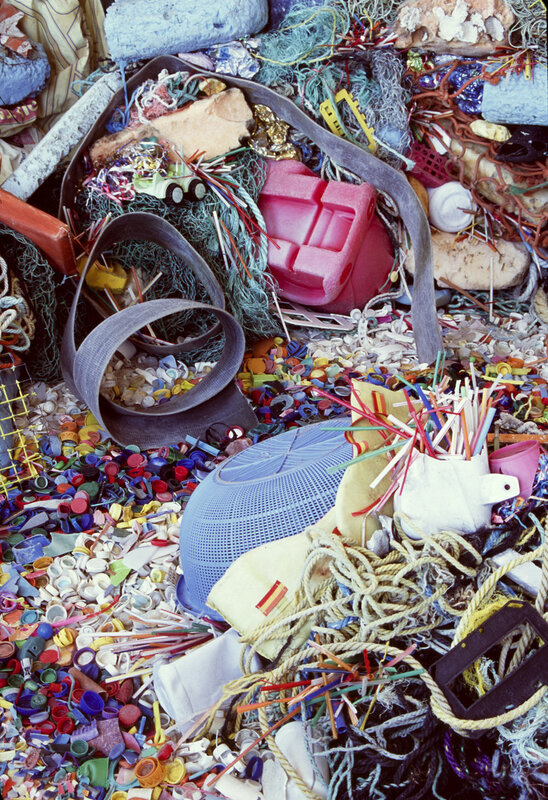 Composed of festively colorful marine debris, my sculptures and installations embody the trauma of living enmeshed in a rapidly deteriorating environment and the desire to imagine alternative futures. Bio: Basia Goszczynska is an artist working in sculpture, installation, and new media. In addition to numerous group shows and film festival screenings, she has presented her work in solo exhibitions at the Mid-Manhattan Public Library and OCAD University. She has received fellowships from the Vermont Studio Center and the Massachusetts Cultural Council as well as the Ray Stark Film Prize from Rutgers University. In 2007, she completed her BFA at the School of the Art Institute of Chicago and her MFA at the Mason Gross School of the Arts in 2016. She currently lives and works in Brooklyn. 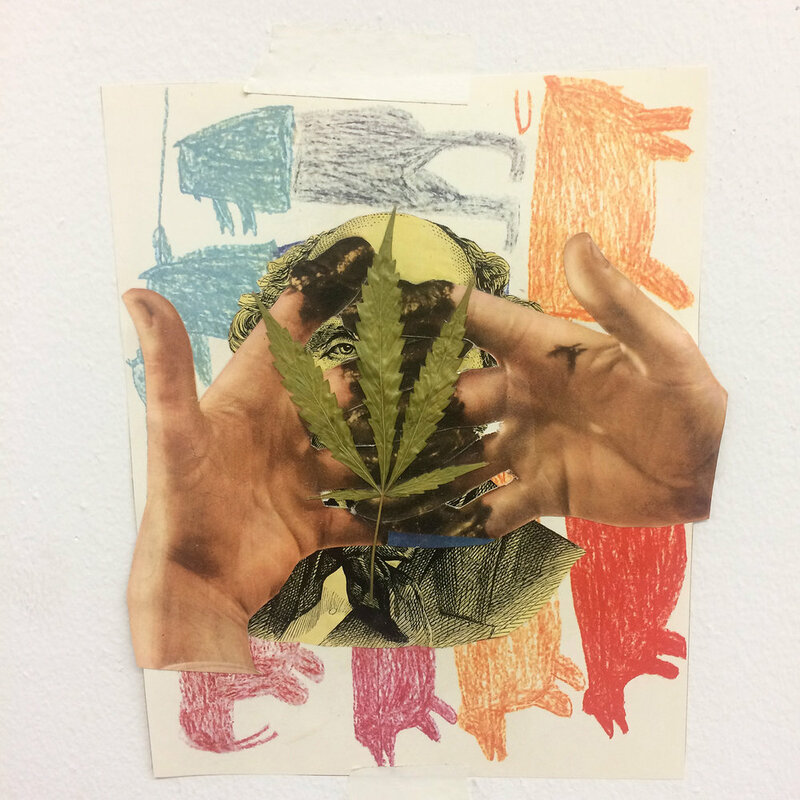 I started making collages when I was 16 and slowly developed a method of tearing and cutting image and material stimuli I receive from our culture, reorganizing and recontextualizing them, and throwing them back into the world. By reassembling these images, I found that I could say something about the original images, as well as say something the original images never said or considered. My primary influences are the material itself, as well as the visual imagery from punk rock and skateboarding culture. 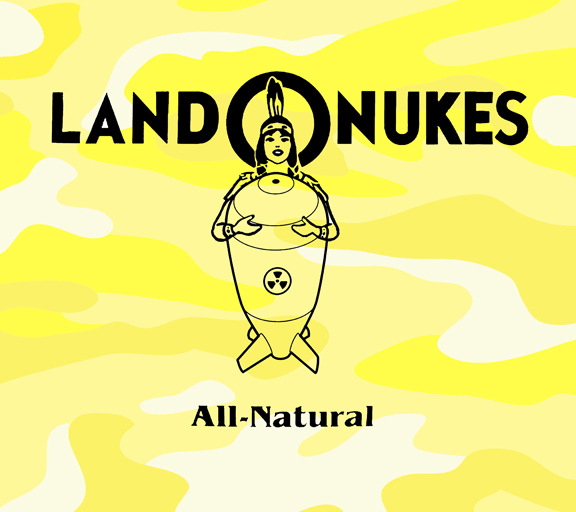 I attempt to express my sense of humor through my work, and as a result, I believe it has a cartoonish quality. Thematically, I am attempting to find a harmony between social / political commentary and the psychedelic experience. This search for harmony has resulted in my using a broader set of materials than just print images. My mixed media pieces now incorporates acrylic painting, plant life, children's toys, pasta and textiles, for example. The incorporation of these additional sources and materials into my process has opened new textures and dimensions, marking what is to me, an exciting new phase in my work. Cibele Vieira is a Brazilian-born artist whose work has been exhibited internationally, including at Petzel Gallery, Gallery Geranmayeh, Valentine, Front Room Gallery, Christopher Henry Gallery, and Soho Photo in NYC; at the Bienal de Fotografia de Paulo, at Ateli Gallery, Paulo, Brazil, and at Casa de Cultura Quintana, Porto Alegre, Brazil. Her work has been exhibited at and is in the collections of Ado Malagoli Museum (MARGS) and Rio Grande do Sul Contemporary Art Museum (MAC) in Porto Alegre, Brazil and the Kiyosato Museum in Hokuto, Japan. Cibele was awarded First Place, Vision Awards 2000, by the Santa Fe Centerfor Visual Arts. Her work has been featured in The Village Voice, Brooklyn Rail, Hyperallergic, Visura Magazine, L Magazine, Culture Front, Washington City Paper, O Globo, Correio Braziliense, Zero Hora and Private Magazine, and is in the catalogue celebrating the 20th Anniversary of MAC and in the 2006 Young Photographers Catalogue, Kiyosato Museum Japan. Vieira was the main editor of Making History Bushwick, the first book published by Arts in Bushwick. Her work was also included in the controversial Brazilian exhibition Queer museum that was closed down by the Brazilian alt right. Vieira is also currently an artist in residence at New York Presbyterian Hospital. Chasing the Golden Duck is an ongoing project in which I place a gold-painted inflatable duck in various rivers, streams and other bodies of water while traveling and then photograph it. This obviously artificial, ephemeral fantasy animal serves as an avatar for childlike innocence in our relationship to the natural environment. With playfulness and simplicity, it reflects an imagined ideal version of that relationship while underscoring our often tragic reality. Our mission is to expedite the removal of carbon dioxide from our atmosphere and reduce the acidity levels in our oceans. We believe we can expedite the development of CO2 sequestration by removing obstacles and raising awareness. Our message to the political and business leaders is to get on board, time is of the essence to remove the roadblocks. We can get it across to people how serious it is and how it can be mitigated. We do not want to diminish the other issues and causes that are important, because we understand that things like plastics in the oceans, land recovery, stopping rainforest destruction, etc. are all very important issues. We just believe that what has been occurring in the oceans is a real game changer for the entire planet. The oceans are the basis of life, and they are in decline, at a rate much faster than previously believed. Since 2014, we've organized monthly events to educate, connect, and empower New York's Cannabis Community. Our mission is to end prohibition, redefine the way society interacts with Cannabis, and create a more healthy and prosperous world. Contra Galleries is a contemporary art gallery located in Chelsea, New York with a curated collection of talented artists.